Powerful rear-drive cars from the sixties often had a primitive form of traction control called a limited slip rear differential. Sometimes referred to as Positraction, a limited-slip rear axle will mechanically transfer power to the rear wheel with the most traction, helping to reduce, but not eliminate wheel spin. While limited-slip rear axles are still in use in many front- and rear-drive vehicles today, the device can't completely eliminate wheel slip. Hence, a more sophisticated system was needed. Enter electronic traction control. 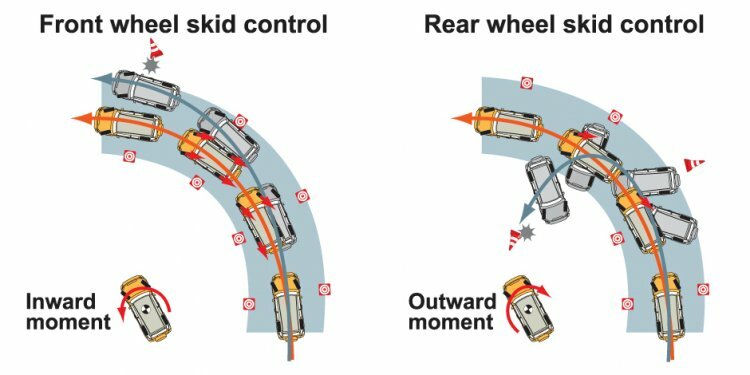 In modern vehicles, traction-control systems utilize the same wheel-speed sensors employed by the antilock braking system. These sensors measure differences in rotational speed to determine if the wheels that are receiving power have lost traction. When the traction-control system determines that one wheel is spinning more quickly than the others, it automatically "pumps" the brake to that wheel to reduce its speed and lessen wheel slip. In most cases, individual wheel braking is enough to control wheel slip. However, some traction-control systems also reduce engine power to the slipping wheels. On a few of these vehicles, drivers may sense pulsations of the gas pedal when the system is reducing engine power much like a brake pedal pulsates when the antilock braking system is working. Many people mistakenly believe that traction control will prevent their vehicle from getting stuck in the snow. This couldn't be further from the truth. Traction control does not have the ability to increase traction; it just attempts to prevent a vehicle's wheels from spinning. For drivers who routinely drive in snowy and icy conditions, traction control, antilock brakes, and snow tires are must-have safety features.